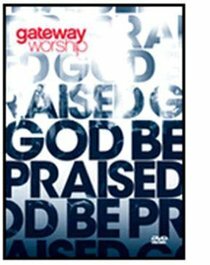 Recorded LIVE at Gateway Church, the God Be Praised DVD visually captures an amazing night of worship in High Definition in both Blu-Ray and Standard formats, all in the same package! Gateway Worship is part of Gateway Church which has grown to be one of the largest churches in North America and one of the most influential over the past decade. It's worship songs, powerful messages, artist and resources are touching people and congregations around the world. In its first decade of existence, it has contributed many songs that rank with the top most used in churches based on chart listings from CCLI.